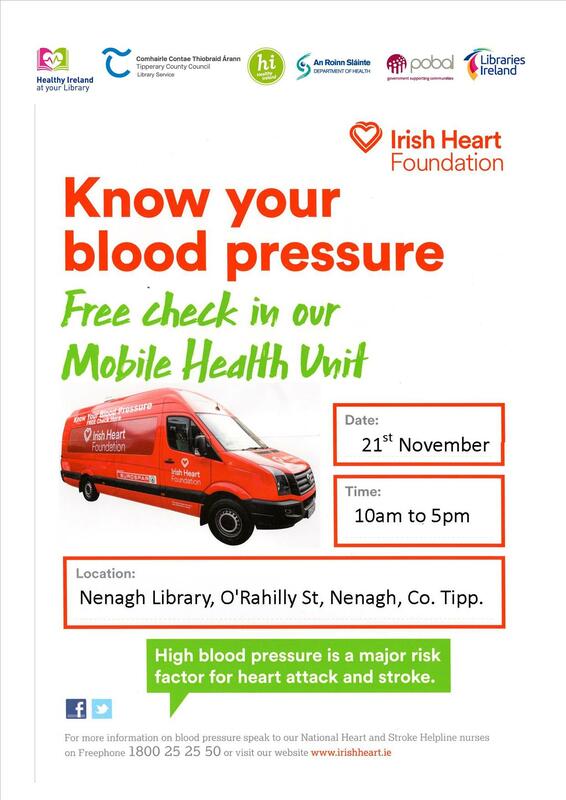 As part of the Healthy Ireland at your Library Programme the Irish Heart Foundation Mobile Health Unit will visit Nenagh Library on Wednesday the 21st November from 10 am to 5 pm. High blood pressure is a major risk factor for heart attack and stroke so this is a chance to get it checked for free. next post: Teddy Bear Sleepover – When Library Lights Go Out!